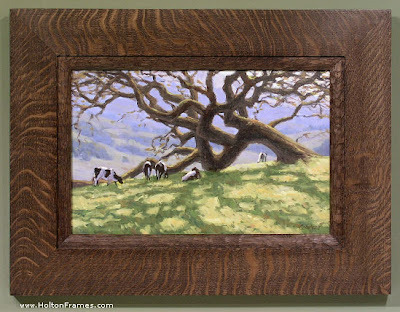 Tim at Holton Frames created this beautiful frame for this piece. I love the chiseled bevel and the gnarled oak wood with the gnarled oak tree. Available for purchase at Holton's.